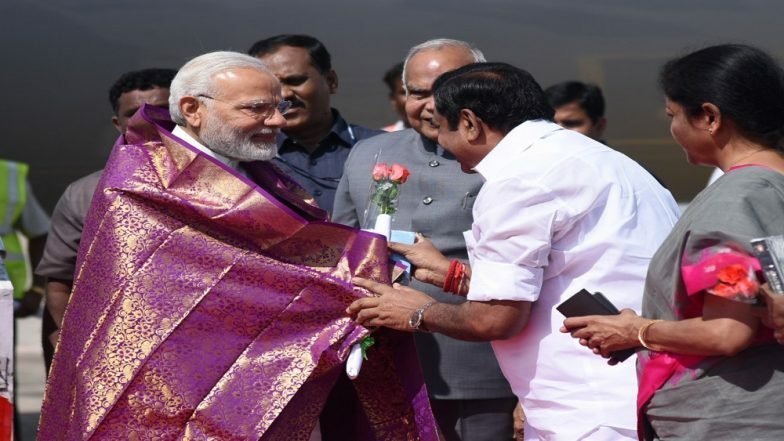 Chennai, February 16: Seat-sharing talks between the ruling AIADMK and the BJP in Tamil Nadu for the 2019 Lok Sabha elections are in the last stage, and a deal would be announced soon. The Desiya Murpokku Dravida Kazhagam (DMDK), Pattali Makkal Katchi (PMK) and Tamil Maanila Congress are most likely to join the pre-poll alliance. However, they all are yet to reach an agreement on seat-sharing. According to a report, the BJP, which won one Lok Sabha seat in Tamil Nadu in 2014 general elections, is adamant on contesting 10 seats this time. On the other hand, the AIADMK is willing to give six fearing that things will only work to the DMK's advantage if the BJP is given more seats. The AIADMK swept the 2014 Lok Sabha polls, winning 37 of the state's 39 seats. However, the party is losing grip following the death of J Jayalalithaa. “A good, cordial decision will be taken in a day or two,” AIADMK coordinator O Panneerselvam, who is also the Deputy Chief Minister, told reporters on Friday when asked whether an alliance between his party and the BJP was being firmed up. Separately, Union Minister and senior BJP leader Ravi Shankar Prasad and the party’s state unit chief Tamilisai Soundararajan expressed confidence of stitching a powerful combine in the state. Their remarks came a day after Union Minister Piyush Goyal, party election in-charge for Tamil Nadu, said “All possibilities are under consideration and discussions. At the right time, we will give you the good news.” He had held talks late Thursday night with senior AIADMK leader and Minister P Thangamani, considered close to chief minister K Palaniswami. Meanwhile, the Congress and DMK, which had aligned for the 2016 assembly polls, are taking forward the tie-up with some more parties, including MDMK and the Left slated to join the coalition.